Liz narrates with such emphasis! She is easy to listen to! Stories are so really. I see myself in some of the situations. I did not want to end. Loved it. An honest humble account with endless biblical application as well as pertinent information for applying biblical principles to living today. This was an excellent book. I could relate to all the women described in some way or another. Liz has such a unique way of looking at things. Having come from a similar background as hers, I struggled with my "bad girl" past. 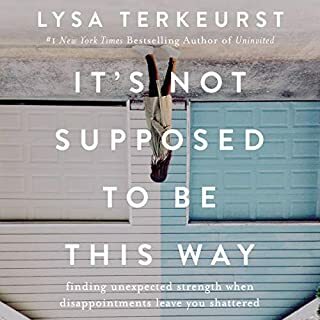 This book helped me see that God still loves me, even though I'm less than perfect. I really enjoyed hearing Liz narrate the book herself. That added a lot to my enjoyment. I highly recommend this book to everyone, men and women alike, and can't wait to read the next "Bad Girls" book. 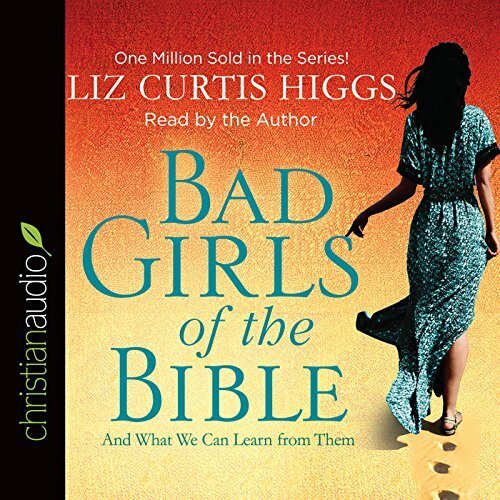 What did you love best about Bad Girls of the Bible? I loved the pre-stories that brought to life in current times the bible situation. And I loved going in-depth on bible stories/characters that I've heard of, but generally don't get much attention. I liked Rahab. Didn't hide from her sins, but pushed for her own redemption through courage and asking for it. And brought along her family. 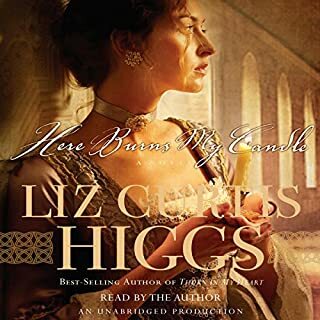 Have you listened to any of Liz Curtis Higgs’s other performances before? How does this one compare? No, but her performance was great. So much emotion into the story, very easy and fun to listen to you. The fictional story of Sapphira. I didn't know the bible story, and it was a shocking reminder of how important honesty and putting God first are. Will be re-reading the book with my bible study group and I can't wait. Bought the paperback so I can follow along with the bible study questions better. Not for the pure and sensitive. This was a nightmare to listen to in our book club, so much so, that I left my book club. I just had so much anxiety reading it. I hated that it had a fictional story to begin with in each segment (if I'm going to be in literal pain, it surely isn't going to be over some fictional story and characters), and then comparing it with the Bible story after and what we learn from it. I don't even remember what I learned from the Adam and Eve section because I was cringing the whole time like you do going up a steep roller coaster slope before going over the edge (you know it always ends bad). This book is like a book of tragedies. It highlights how "delightful" it seemed for the sinner, and then their downfall. Let me just say, this will not uplift. It's proven that one negative and a positive make a negative. Psychologically, it takes five positives to over ride a negative message. Thus, I cannot recommend this book or give it anything above one star. 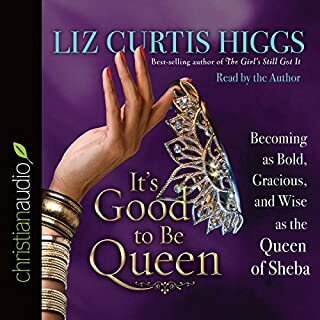 Liz curtis higgs delivers a fantastic presentation of a fabulous book. it let's us know that when we are less than perfect, God still can use us. 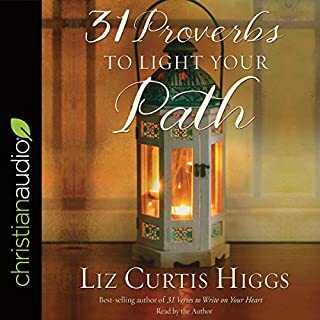 brings new light and life to the women of the bible. Yes, definitely, this book was so entertaining, and I learned heaps too! 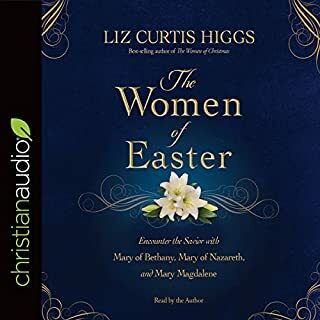 Have you listened to any of Liz Curtis Higgs’s other performances? How does this one compare? 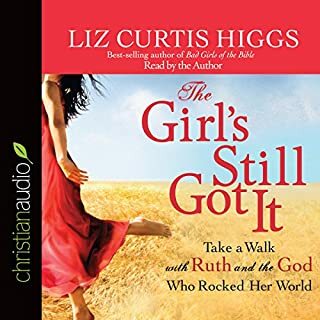 Not yet, but I just purchased her study of Ruth and I can't wait to listen to it! Yes, although I spread it over a couple of days while driving. It was so good!